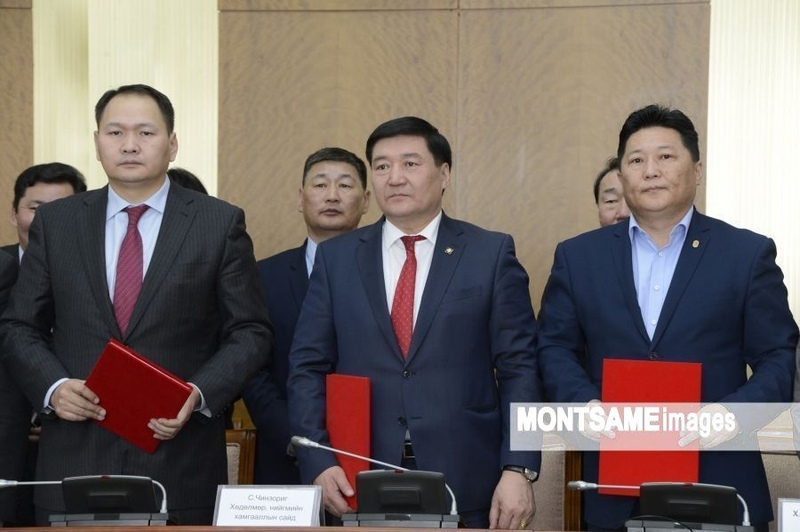 AKIPRESS.COM - The National Tripartite Agreement on Labour and Social Consensus for 2019-2020 was signed by Minister of Labour and Social Protection S.Chinzorig on behalf of the Government, President of the Confederation of Mongolian Trade Unions (CMTU) Kh.Amgalanbaatar on behalf of Trade Unions, and Chairman of the Mongolian National Chamber of Commerce and Industry O.Amartuvshin on behalf of employers on April 3, Montsame reports. The agreement comprises of six chapters and 51 articles aimed at developing the legal environment for employment, creating jobs, giving a pay raise to public servants in 2020, and enhancing social protection. Specifically, Minister S.Chinzorig stated that it was tentatively decided to increase the salary of public servants and pensions from January 1, 2020. “The National Tripartite Committee on Labour and Social Consensus will make the final decision on the pay raise rate based on 2020 inflation forecast at its next meeting prior to the approval of 2020 Budget”, added the Minister. The sides also emphasized the tripartite agreement for 2017-2018 showed a successful result with 27.5 percent rise in pay which has been frozen since 2014, 16 percent increase in household income, and three percent decrease in unemployment.